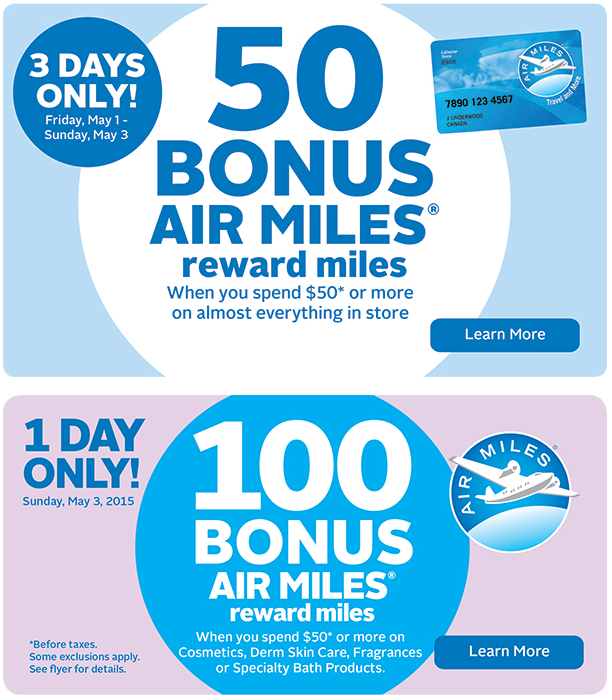 Couple of Rexall AIR MILES Rewards Miles Bonuses to let you know about. 50 Bonus Miles when spending $50 between May 1-3 and 100 Bonus Miles when spending $50 or more on cosmetics, Derm skin care, fragrances or specialty bath products. Find out more here. The Aeroplan transfer bonus we brought you earlier in the week has been extended from May 24th to May 31st. Find out more here.